Food Markets in Berlin offer the idea combination of shopping, eating and drinking. From street food markets to permanent stalls serving everything from world cuisine to local Berlin staples like Currywurst or Bulette. 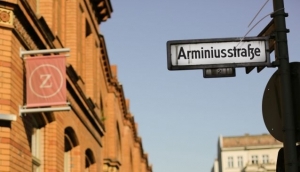 You will find markets all around Berlin from Halle 9 in Kreuzberg with their famously popular Street Food Thursdays, to the relativly unknown Arminius Markhalle in Moabit. Flea markets, and Fresh food markets are also great places to pick up a tasty bit of street food - Head to Kollwitzplatz in Prenzlauer Berg for a great twice weekly market offering scruptious treats.